Do you often feel like you’ve done a lot yet accomplished nothing at all? You’re not alone. Just because you’ve crossed a good number of items off your to-do list, does not mean you are moving forward. On the contrary, you may be moving backward. If 24 hours a day isn’t enough for you, it’s time for you to hire a Virtual Assistant or VA for your business. A Virtual Assistant is a person who works online; usually from a remote location and is contracted to manage a pre-determined set of tasks. No doubt you’ve heard about virtual assistants. After all, they have been around since the 1990’s when the PC desktop was a main fixture in every office. Back then, you could only access the Internet via dial-up connection. When broadband technology became available in 2004, the Internet became more accessible. It created more opportunities for businesses to harness the power of the Internet and usher in greater demand for virtual assistants. Contracting the services of a VA will not break your operating budget and it will increase business productivity. You can allocate more time on the core functions of your business and stay focused on activities that add dollars and cents to your bottom-line. The question is: How do you find the right VA for your business? On a spreadsheet, prepare a summary of all the tasks and activities that are undertaken in your business. Once you have completed the summary, create two categories: Essential Tasks and Non-Essential Tasks. Essential tasks refer to the core functions of your business. These are the activities that directly relate to your main enterprise. Non-essential tasks are activities that are more supportive in nature. An example would be administrative work. You can also include technical work that does not fall under your core competence. For example: Social media marketing, content writing, and graphics design. The items that fall under Non- Essential tasks should be outsourced to a VA. From here, you can create a VA Profile which would enumerate the hard and soft skills needed for the job. Creating a VA Profile will make the search for the right candidate easier. You will be able to pinpoint qualifications. Find out who among your friends, associates, and those in your social media network have contracted virtual assistants. Not only can they give you names of proven candidates but they can share their experiences with you. The Internet is home to many online job platforms. These platforms function like a marketplace that matches freelancers with prospective clients. You can find talented freelancers who have experience doing virtual assistance work. Before posting your job ad, create a professional profile of your business. The best freelancers are likewise selective of the clients they work for. Make sure your ad includes clear details of the job requirements. Indicate the skills needed; minimum level of experience, and if allowed by the platform, ask for their resumes. Once you’ve reviewed all the resumes, set aside the ones that impressed you the most. Schedule each candidate for an online interview. Virtual assistance agencies maintain a roster of virtual assistants who have consistently proven their value over the years. Compared to freelancers, you are more assured of the quality of talent you get from an agency. Agencies invest in their talent because they know how difficult it is to find good VA’s. They make sure the competencies and skill levels of their virtual assistants are constantly upgraded through regular training programs. Another advantage of contracting the services of an agency is flexibility. If your arrangement with the current VA is not working out or has failed to meet your expectations, the agency can easily replace him/her with another candidate. Where can you find these virtual assistance agencies? A simple keyword search will yield a number of websites. However, a better option would be to get recommendations. LinkedIn is a good resource. You can join small business groups and get recommendations from the community. If someone applies to your job post, the worst thing you can do is to hire him/her right away. It is not because he/she is the worst candidate. By signing up the first person who shows interest in your job post, you are denying yourself the opportunity to find someone better. Tier 1 – The Interview; the resume or online profile will be the basis of your questions. Tier 2 – Practical Testing; ask each candidate to take a practical test on basic VA skills such as appointment setting, email filtering, and calendar management. Tier 3 – Trial Period; require each candidate to work with you for at least two hours. You have to see how they perform in actual working conditions. Through a process of elimination, identify the two best candidates. The tie-breaker would be the Behavioral Component: Which of the two candidates can you work with? You should get an idea of whose personality meshes with you better during the trial period. If you’re not sure, ask the final two candidates to undergo a Psychological test. How do they approach work? What are their goals in life? How do they resolve conflict? It is not enough to hire a VA with the right technical and fundamental skills. In truth, it may be more important to find a VA who shares the same values, purpose, and vision as you. Memorandum of Agreement – Outlines all details of the working engagement such as mode of payment, contract period, and grounds for termination of agreement. Service Level Agreement – Identifies the scope of work; including set of responsibilities, work hours, work days, benchmarks, guidelines, and other performance metrics. Confidentiality Agreement – Lays out all the provisions that protects all confidential information from being shared or divulged by the Virtual Assistant. Whenever people hear the term “Virtual Assistant”, they think of a Personal Assistant or an Executive Assistant. In ways, the comparisons are warranted because most of the tasks delegated to these assistants are administrative in nature. For example: email filtering, appointment setting, calendar management, and phone handling. However, more companies; especially small businesses, are contracting virtual assistants because they are lower cost alternative to hiring full-time employees. 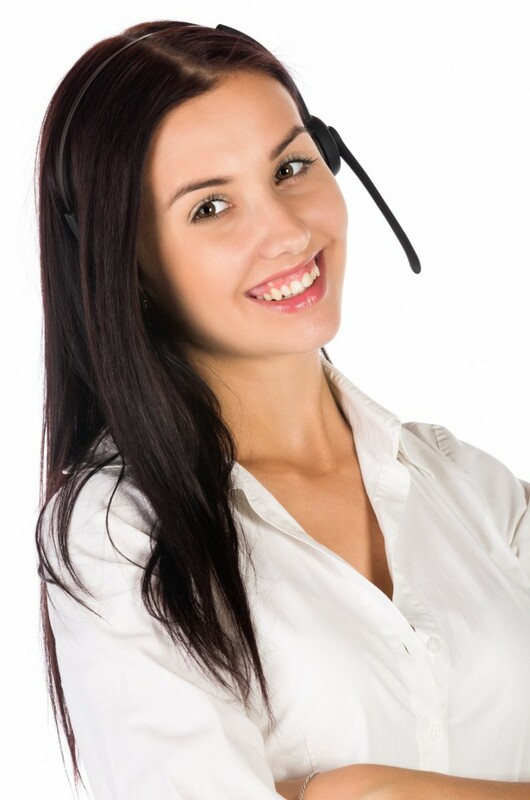 Virtual assistants are contracted for a specific period and are designed set work hours. In most cases, VA’s work only 20 hours per week compared to 48 hours for full-time employees. Furthermore, as contracted workers, clients are not obligated to pay virtual assistants benefits. Despite the shorter work hours, contracting VA’s can lead to greater productivity. This is because VA’s are paid per productive hour. Unlike full-time employees, the meter stops when the Virtual Assistant goes on lunch break. You can also set targets that they have to hit during a work day or work week. Thus, instead of doing the administrative tasks yourself outsource these to a Virtual Assistant. What Social Media Platform Will Work Best For You? October 26th, 2018| Comments Off on What Social Media Platform Will Work Best For You? What Marketing Tasks Can You Outsource? October 14th, 2018| Comments Off on What Marketing Tasks Can You Outsource?